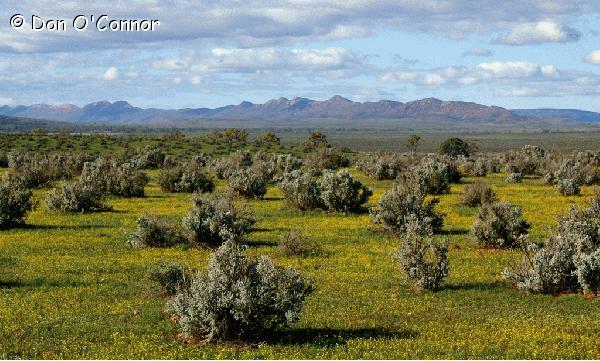 Flinders Ranges, South Australia. Taken from the side of the road at the Simmonston ruins. Bluebush, saltbush and a type of yellow button flower in the foreground.